If you’re like most folks, you know that keeping your mouth clean is the best way to maintain a fresh and beautiful smile. Brushing for two minutes twice per day seems easy enough right? But how many of you tend to skip right over flossing? 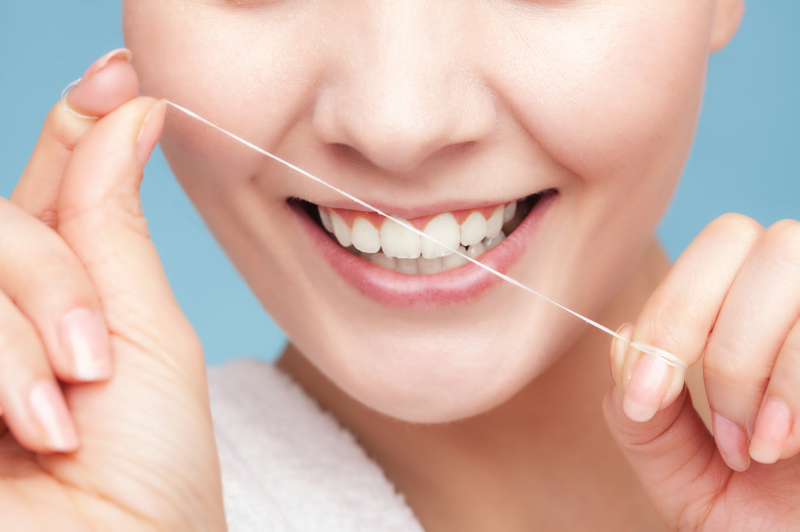 Let’s look at all the ways flossing is good for your teeth. Germs that live under the gumline tend to stir up lots of problems when left alone. Although tiny and seemingly harmless as individuals, bacteria colonies become organized and destructive in a short period of time. The good news is that the slime layer that results from thousands of germs living in harmony is actually easy to remove with daily flossing. An added benefit is also that the more plaque you remove, the less your teeth tend to stain and the fresher your breath will be too! Soft plaque that isn’t removed will eventually turn into a hard substance known as calculus, but also called tartar. This calculus is impossible to remove with brushing and flossing and creates a textured surface that living bacteria find very ideal for making a home on, in, and around. Only a dental professional can thoroughly removed tartar from under the gumline but the more you prevent, the less aggressive your hygienist will have to be at your next visit! Even though your enamel is super strong, it can’t hold up forever in the presence of plaque and food acids. Plaque that isn’t removed often enough begins to destroy the protective layers of your teeth. As the damage progresses, cavities are formed. Flossing every day, on the other hand, breaks up plaque colonies, removes food particles, and provides a healthier environment for your teeth to remain more stable. When tartar and plaque acids lead to infection, the bone that holds the teeth in place has only one way to go: away! Bone loss is the leading cause of tooth loss so this is a very serious and chronic issue that many people don’t worry about until it’s too late. Periodontal disease can be slowed down and often prevented entirely just by practicing flossing everyday. As you can gather, many tooth problems begin with bacteria. Although there are hundreds of species of germs in our mouths, most of them don’t cause a problem unless they are allowed to take over. Flossing can seem tricky at first, but when you learn how to do it properly, it takes no time at all!